This snack is perfect for those, who love to eat chocolate, but are trying to reduce sugar. The other day I have seen a recipe, where chocolate was covered with diverse seeds. I decided to try it out, just with chili flakes along with salt instead... and the result was delicious! Besides that, it’s very quick and easy to make! 1. Melting the chocolate: bring few centimeters of water to boil in a kettle, on top of which put a smaller kettle or a heat-resistant bowl with chocolate broken into smaller pieces. Take care that the bowl with chocolate doesn’t touch the boiling water. 2. 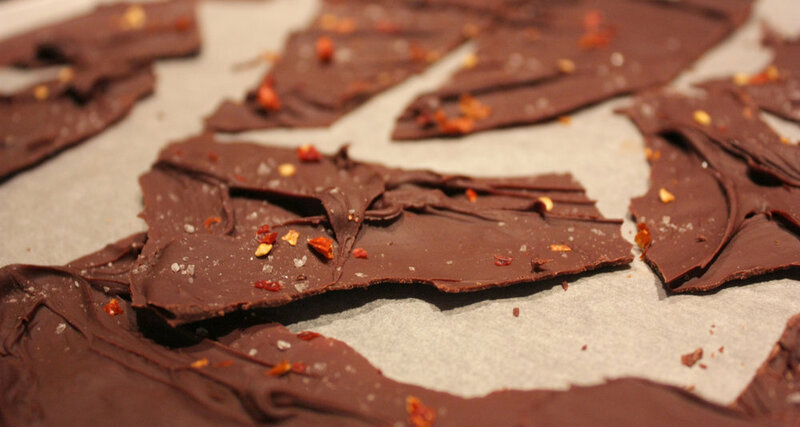 While the chocolate is melting, slice the dried chilies into flakes and line a tray with parchment paper. 3. When the chocolate is melted, pour it onto the parchment paper and flatten it into app. 1 cm thickness using a spatula (it won't cover the full parchment paper). 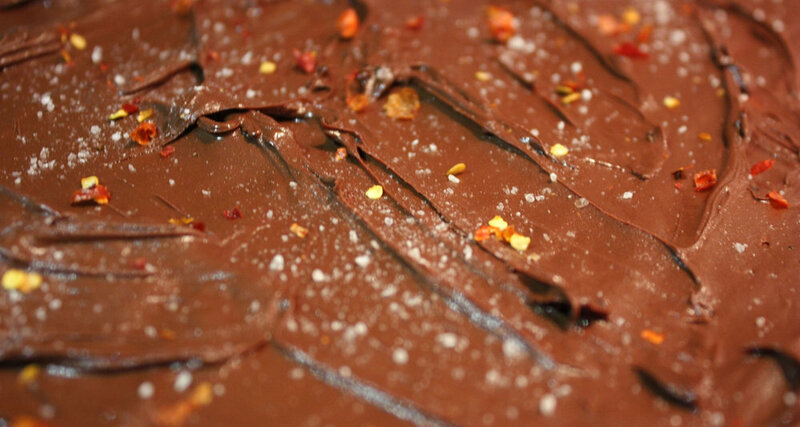 Sprinkle randomly the deliciously smelling dark chocolate with the chili flakes and salt. 4. Put it into the fridge for 2h. When the chocolate is solid, take it out and break randomly. Enjoy! Have you got any tasty chocolate recipe? Let me know!